Loving color more and more these days! 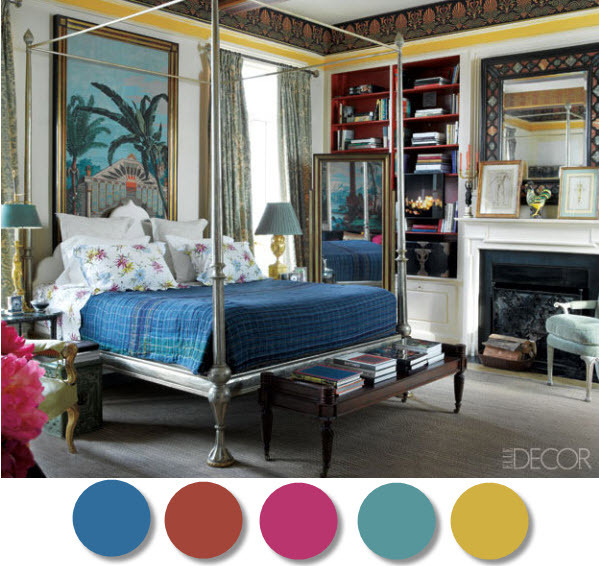 These bedrooms are chock full o colors that I loveee! In other news, my wedding shower is this weekend and I have Monday off. So all my little lovelies, I will be away for a few days. Don't get into any trouble while I'm gone and if anything amazing happens in the design world, email asap. I'm crazy for the first bedroom, especially the sunny yellow chair! Happy weekend, and enjoy your shower! I'm totally happy after seeing those gorgeous spaces!!! Have an awesome weekend! Especially love the first 2!! Wonderful colorful solutions. Have a wonderful time at your shower!! I heart colors! Have a fabulous bridal shower. Can't wait to see pics! The first room was designed by Amy Corley! I love her work. Love the bench in the last room. I have pillows in that fabric!!! Beautiful. Seems like five colors works great for a colorful room. Something to remember - a lot of my planned colors schemes only include three.. time to expand! Linds- Have a WONDERFUL wedding shower! I can imagine the colors they might use for you at the party! Enjoy your wedding shower - I hope it was a great weekend. 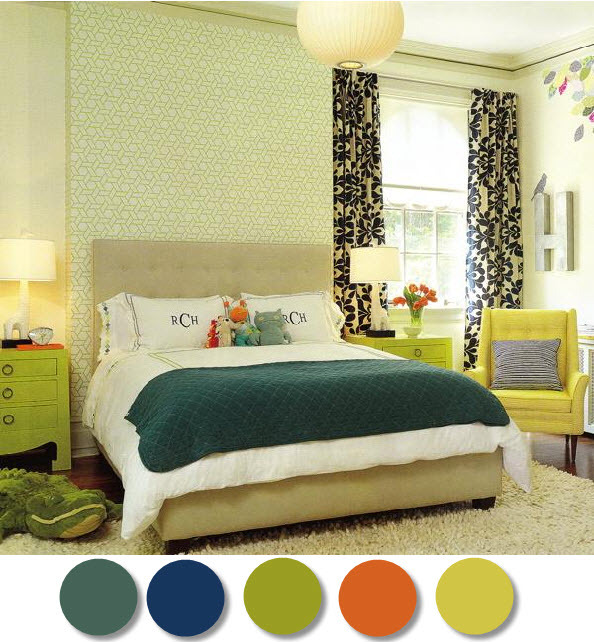 Thanks for the fun colorful room inspiration - LOVE! yay! hope you had a fun weekend. Rems is getting some monogramming done for his room:) love that first image. I love that first pic!! Looks like a very fun cheery kids bedroom.